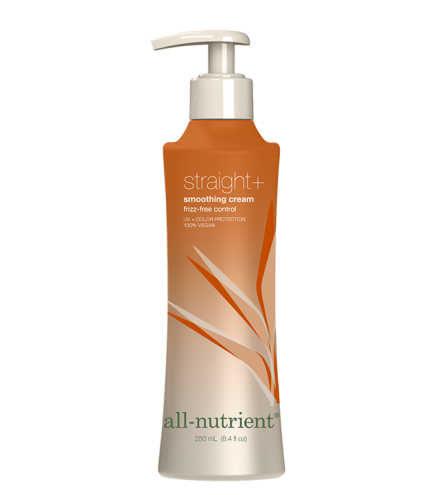 Straight+ is a smoothing cream that provides one-step style control, transforming frizz into soft, hydrated hair. This formula cloaks the hair shaft with an invisible layer of nutrients that smoothes, straightens and conditions each strand to provide a soft, silky finish. Apply to damp hair and distribute evenly. This cream is perfect for use prior to blow drying and flat ironing.